539 carts, 539 dust sleeves, 31 boxes & box protectors. 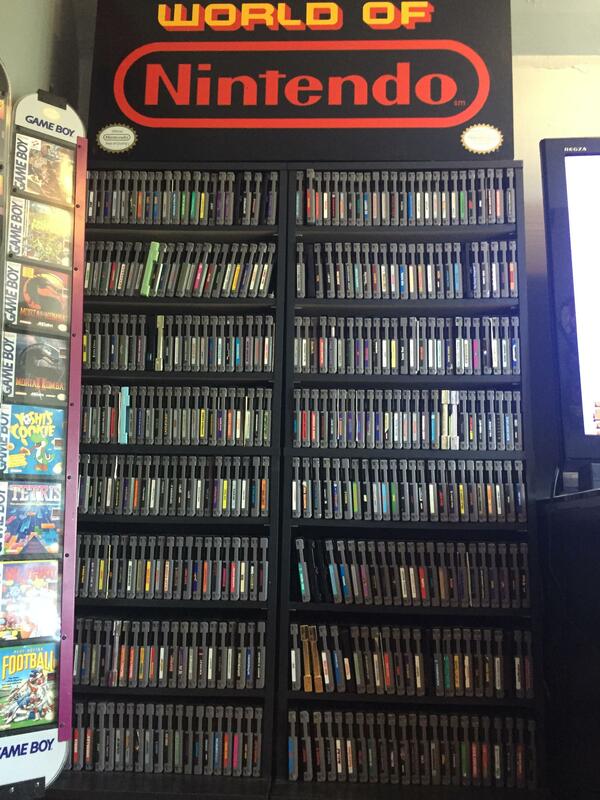 All of the Marios and Zeldas, Contra, Mega Man 1-6, Dragon Warrior 1-4, Castlevania 1-3 CIB, Metal Storm, Battletoads vs. Double Dragon, Godzilla 2, Rock'n Katz, Uncharted Waters. 80 carts, 29 dust sleeves, 28 boxes & box protectors. 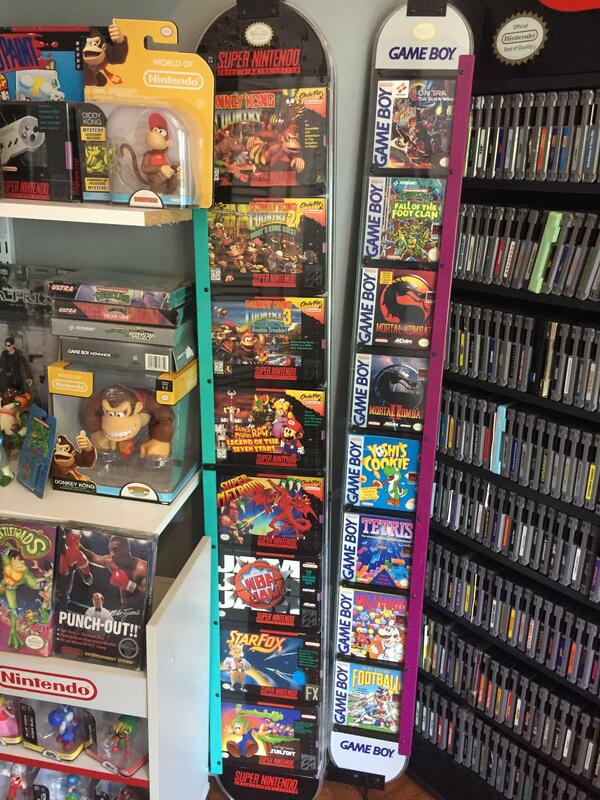 Sunset Riders, TMNT Time, Zombies Ate Neighbors, Final Fantasy 2-3 CIB/boxed: Donkey Kong 1-3, Super Mario RPG, Super Metroid, Chrono Trigger, Super Mario World, Super Mario Yoshi's Island. 109 carts, 80 boxes & dust protectors. Boxed/CIB: Mario Party 1-3, Conkers, Snowboard Kids 2, Smash, Mario Kart, Super Mario 64, Kirby 64, Banjo-Kazooie, Pokemon Stadium. Funny story- there was a guy I knew who would open factory sealed N64 games because he wanted a mint complete cart-only collection. He would sell me the boxes, so most of my "heavy hitter" Mario/Zelda and popular titles came from him and are in excellent condition. Sealed Wii-U Mario Marker 30th, NES Deluxe Set (w/ ROB), NES Action & Power Sets, SNES Mini & Control Sets, N64 Jungle Green, Gameboy Zelda Edition, sealed SNES controllers. 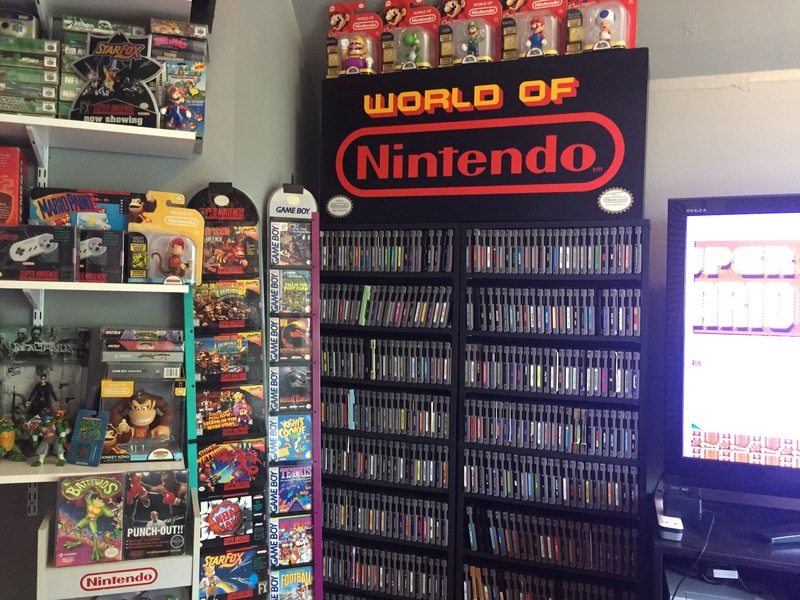 World of Nintendo Fiber Optic, World of Nintendo Clock, World of Nintendo Globe, Mario/Yoshi display, SNES Starfox displays, SNES Mario Paint display, SNES & Gameboy box racks (6), Mike Tyson Punch Out signature framed, Rent N64 Here vinyl. I can't imagine how he feels about selling such an extensive collection, but I hope he's both happy and relieved!! Almost as beautiful as $30k. Holy moly. That is beautiful. That is art. That is. . .to die for.